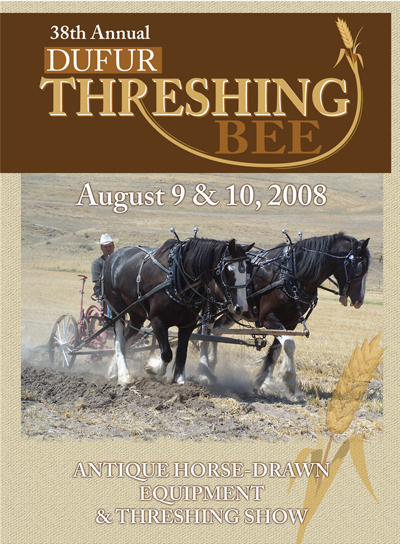 The Dufur Threshing Bee is a glimpse back in time to the early settlers’ way of life. 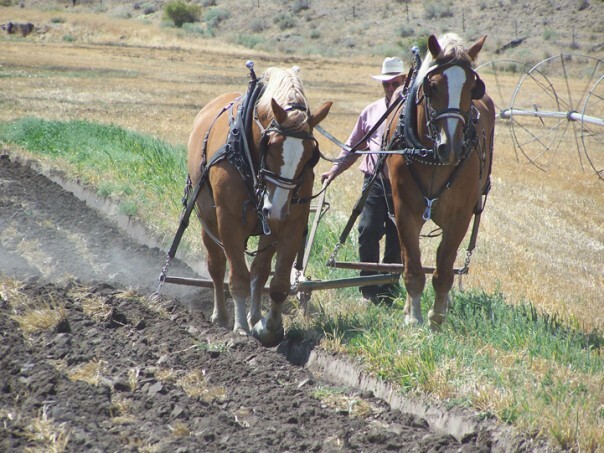 It includes demonstrations of farming, equipment, clothing, blacksmithing, a schoolhouse, and the settlers’ overall way of life. 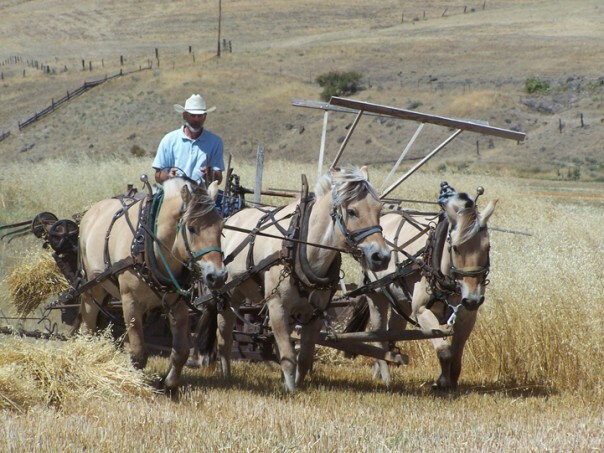 Specially trained horses are used to demonstrate harvesting equipment like plowing, and harvesting using a header (cuts the wheat). The Case steam engine, which is from 1905, operates the separator (separates the wheat from the chaff). 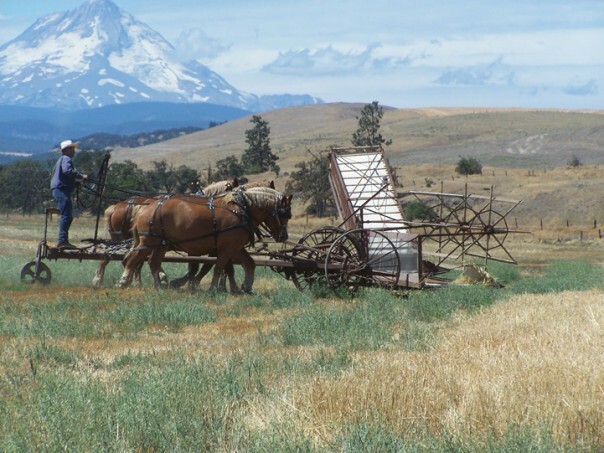 Blacksmiths repair wagon parts the old-fashioned way, and shod horses as well. 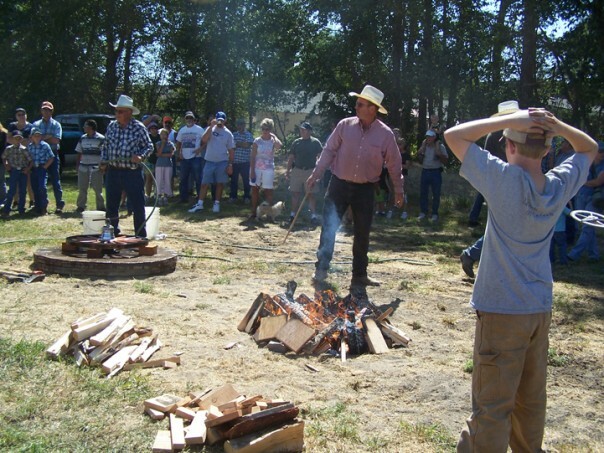 The wheelwright demonstrates “setting a tire” which is where the metal is applied to the wagon wheel. Not only do you get to see the actual old equipment, you get to see it in use.